Do summer vacations and road trips have you pinching pennies? We’ve got you. 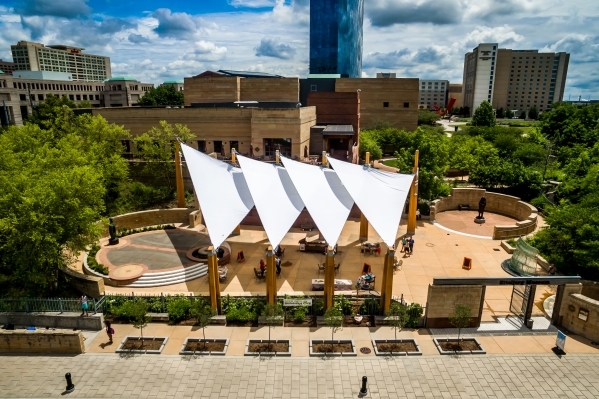 Downtown Indy is full of exciting budget-friendly events this summer. We’ve rounded up the five best free events to keep you going out gratis next month. Nearly 500 cyclists from across the Midwest will race in the Indy Criterium on Saturday, July 8. But the Indy Crit isn’t just for cyclists. The festival on Monument Circle includes BMX stunt shows, morning recreational rides, a Sun King beer garden, food vendors and the fun Handlebar Pedal Pub Tour & Race. Kids can enjoy face painting, junior races and the IU Health Kids Zone. The fun starts at 89 a.m. with the Kick-Off Ride and continues all day with free PNC Family Fun Ride at 9:30 a.m. and free BMX Stunt Shows at 10:30 a.m., 11:30 a.m. and 1 p.m. Ride on! The Indy Criterium attracts more than 500 racers and thousands of spectators, fans and volunteers for the races and free festival. Attn music lovers: make your way to the Canal on Thursday nights when the Indiana Historical Society hosts Concerts on the Canal. All shows are from 6 – 8 p.m. Free seating is available on the grassy area on the Canal Walk or upgrade to a table seat for $10 ($8 for members). Bring your own food and nonalcoholic drinks and picnic on the Canal Walk for a perfect end of week wind down. Bonus: admission to the History Center is free on concert evenings and open late until 8 p.m.
Make your way to the Canal on Thursday nights for Concerts on the Canal with the Indiana Historical Society. Grab a spot on the grass and picnic while enjoying great views and live music. Make plans to visit the Eiteljorg this summer and enjoy a host of outdoor offerings. The free summer concert series is a great way to get through that mid-week slump. Bands hit the stage at 6 p.m. each Wednesday through July. Bring a friend, grab a bite from the café and enjoy live museum under the Sails. Outdoor concerts are dog friendly! Also new this year, museum admission is FREE from 5 – 8 p.m. Wednesdays in June and July. Arrive early for the concert series and enjoy all the museum has to offer, including the special exhibition, Dogs: Faithful and True. Additionally, every Thursday from 11:30 a.m. – 1:30 p.m. enjoy Lunchtime Music on the Canal. Indy Shakes presents William Shakespeare’s As You Like It while enjoying views of the Canal and White River State Park on July 27, 28 & 29. Lawn seating is free and comfortable chairs are provided (or upgrade to premium seating at a table on the terrace). The play begins at 8 p.m., but come early for the pre-show festivities beginning at 6 p.m. to enjoy music, food trucks, Sun King beer and wine. Go for the views, the music and the romantic performance. No matter the day of the week, there’s something to do. Every Tuesday from 11 a.m. – 1:30 p.m. stock up on fresh, local food at the Eskenazi Health Farmers’ Market. As part of our Workout Wednesday series presented by Anthem Blue Cross & Blue Shield, salute the sun with Sunrise Yoga on the Canal at 6 a.m. and Hip Hop on Georgia Street at noon. After getting your sweat on, make your way a few blocks north to stock up on healthy, fresh produce at the Original Farmers Market at City Market, Wednesdays 9:30 a.m. – 1:30 p.m. Finally, close out the work week with a tasty meal from a favorite food truck during Food Truck Fridays on Georgia Street from 11 a.m. – 1:30 p.m. Guaranteed good summer vibes!